Move Well MD always appreciates feedback from our valued patients. To date, we’re thrilled to have collected 10 reviews with an average rating of 5 out of 5 stars. 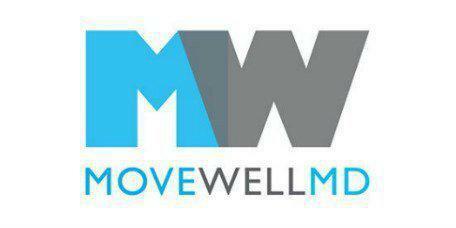 Please read what others are saying about Move Well MD below, and as always, we would love to collect your feedback. Honestly one of the best services I’ve received. Very professional, friendly and informational. My back feels wonderful after every visit. The staff are very caring when it comes to making you feel better. Dr. Gruen & staff are always kind, knowledgeable, caring and professional! I've been suffering from chronic back pain for years and I'm so happy I found this place! Dr. Ben's treatments has been instrumental in getting me back in shape. Dr. Ben has great techniques and excellent bedside manners. Dr. Ben and his team are diligent and consistently demonstrates high level of commitment to every patient. I highly recommend this place! I have had excruciating shoulder pain for about 5 years now. After receiving cortisone injections and no relief I decided to try stem cell. Hearing about this new process, I went to Dr E. Tzanides who injected stem cells into my right shoulder. I now have 95% relief and am able to sleep comfortably. Thanks doctor. I've had shoulder pain for 5 years. Dr. Elias Tzanides, in his confident, compassionate manner offered to inject me with stem cells and I have had 95% relief in my shoulder and am able to sleep much more comfortably. Dr.Ben is super knowledgeable, he is absolutely amazing!!! Walked out feeling great. Dr Gruen provides a nuanced, caring, therapeutic adjustment that is next to none. He's a truly charming bloke as well!